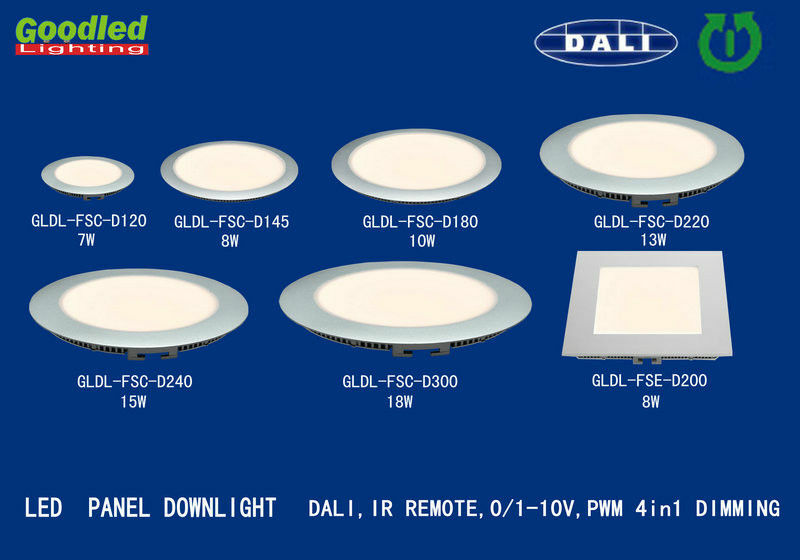 The DALI 4 in 1dimming LED panel light can realize 4 dimming function: DALI, IR remote, 0/1-10V, PWM. --IR remote control dimming: use IR remote controller, can dimming the brightness of panel light. --0/1-10VDC dimming: input 0/1-10VDC, the brightness can adjust from 5%--100%. meeting rooms, library, hotels, restaurants ,hospital, school etc. Side lighting, light is soft and uniform,safe to eyes. 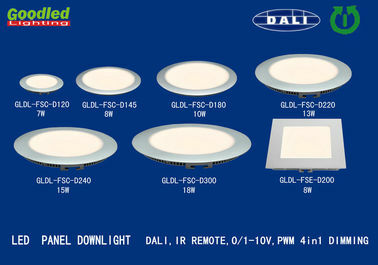 Dimmable verison: DALI, PWM, 0-10V.,triac are optional. Instant start, NO flickering,NO humming.